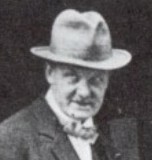 One of the best known figures in the early British film community, Will Day's contacts with the screen began early, when his father instructed him in magic lantern projection before he was ten. By the 1890s, as well as being a keen cyclist, Will Day was an 'elocutionist', performing recitations in halls in the London region. 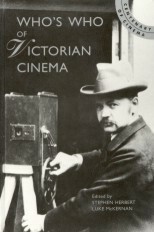 He saw some of the first film shows at the Empire and Alhambra music halls, and, through a cycling colleague, Teddy Tulk, obtained a Robert Paul projector, with which they gave their first show in December 1896 at the Castle, Woodford. Day was able to operate independently after he purchased a Wrench projector, with which he showed films at the Assembly Rooms, Wood Green in early 1899. In 1907, at some expense, he opened his own picture theatre at Wood Green's old Liberal Club, and the following year was giving weekly shows at Alexandra Palace, under the title 'The Kynograph Company'. Over the next two years Day tried his hand at scriptwriting - The Sisters of the Hospital was one effort - but none of his work appears to have reached the screen, and at this point he began work as a film equipment dealer, an activity which he continued for the rest of his life. His first post was with the Tyler Apparatus Company, then in early 1912 he started Jury's Kine Supplies Ltd, and the following year he opened his own shop, 'Will Day Kinutilities', which remained in business for many years. He was also involved in film production at this time, producing a Will Evans comedy, Whitewashing the Ceiling in 1913, and a couple of educational films the following year. During the First World War he made thousands of propaganda lantern slides. Day's interests included magic, inventing, motoring, freemasonry and royalty, but his greatest love was in documenting the history of the cinema. He began collecting items - films, apparatus and documents - in the first years of the century, and by 1914 was planning to write a history of the cinema, which he finally achieved in the early thirties as 25,000 Years to Trap a Shadow. But Day failed to interest a publisher and the work never appeared, and a similar disappointment faced his attempts in the 1920s and '30s to find a permanent home for his large collection. Eventually, having been displayed at London's Science Museum for many years, it was bought by the Cinémathèque Française in 1959, where it is now held. Day knew many of the pioneers personally and, though only a mediocre historian (William Friese Greene's former reputation as 'the inventor of kinetography' stemmed very largely from Day's uncritical championing of his cause) he used his contacts to collect many unique items and reminiscences of the early cinema. In an age before cinematheques and film museums existed he saw the importance of this work, and today's film historians have much to thank him for.